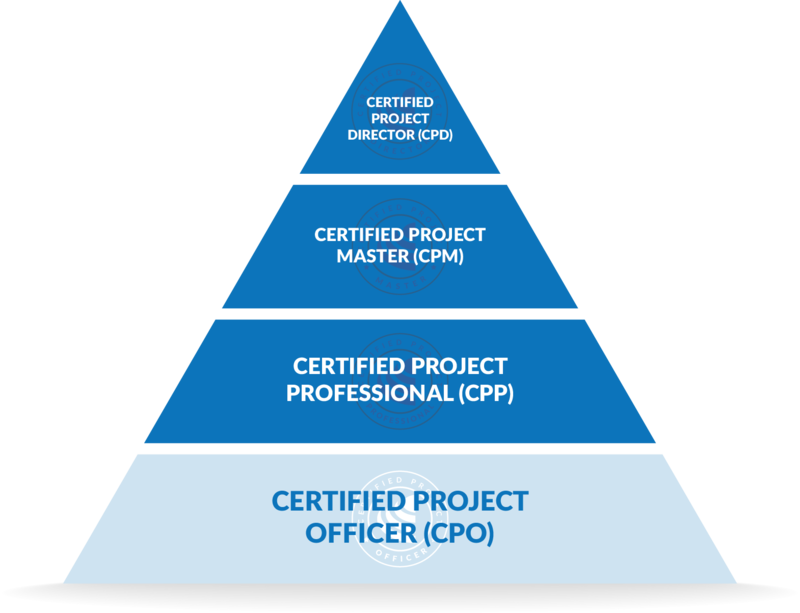 A Certified Project Officer (CPO) is a fundamental contributor to any project team. They have been examined on at least 30 hours of project management study, and can employ project management knowledge in a wide variety of settings, taking responsibility for their own work performance. As this certification is purely knowledge based, there are no prerequisite entry requirements. being assessed on 30 hours of project management training by a reputable / endorsed training provider. The five (5) day ARC CPO workshop is a wholly interactive, semi-structured approach to learning. It leverages the unique experiences, needs and operating environments of participants to enable a practical, networked education event. Participants are therefore encouraged to share complex, ‘real life’ examples from their professional experience that can be resolved using the best-practice principles of project management. In contextualising this course for corporate clients, we can also integrate your project assets, templates and tools into the curriculum for a seamless and relevant workplace program. Over five days, the collaborative workshop does not so much create over-achieving project managers; rather, it introduces a common frame of reference, common purpose and common sense approach to the cohesive delivery and oversight of professional and personal projects. Candidates with who successfully complete the ARC CPO workshop are admitted to the Institute of Project Management as Certified Project Officers (CPOs). OPEN is a multimedia project management resource hub, available free to all, whether or not you intend applying for Certification. The 12 online units in OPEN cover all aspects of contemporary project management, including a number of well-known and highly regarded methodologies such as PMBOK, Agile, and PRINCE2. Successfully completing all the online quizzes that follow each topic will satisfy the knowledge requirements for Certification. CPO candidates can attempt these online quizzes an unlimited number of times before you pay to enrol. This guarantees you never pay to fail! The Order of Merit recognises excellence in project management knowledge. Those Certification holders who attain an overall grade of 100% in the OPEN quizzes will be automatically entered into the Institute of Project Management’s Order of Merit. Previous project management studies may be also accepted in lieu of certain course elements. For example, if you have studied at college or University for greater than 30 hours in a specific project management program, you may attract exemptions or even be automatically eligible for CPO certification. Eligible PMP preparation courses or ‘boot-camps’ may also grant exemptions or full certification – contact us to learn more. What are the benefits of Institute Certification? Institute of Project Management credentials validate contemporary best practices in the discipline of project management. By not slavishly adhering to (or evangelizing) any one standard, methodology or industry approach, our credentials provide a highly rigorous and transferable baseline of skills that can be applied in any project context. Institute credential holders are critical thinkers; they are the project leaders, problem solvers and innovators of the 21st century. 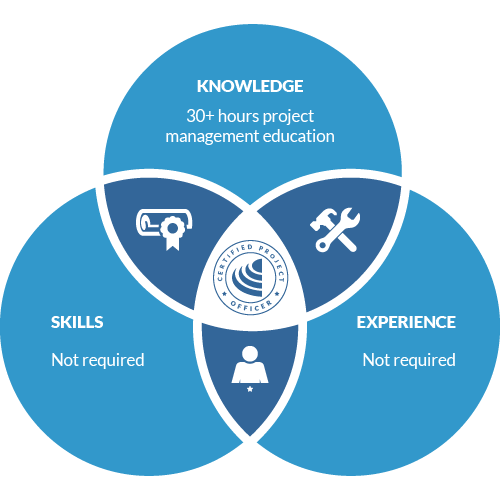 An Institute credential therefore opens up a wealth of career opportunities for the project manager. It expands your market reach, enhances your project management skills, displays your ability to handle challenging projects, earns you critical projects, and increases your salary by a huge margin. So why should I certify my project management knowledge and skills with the Institute of Project Management? 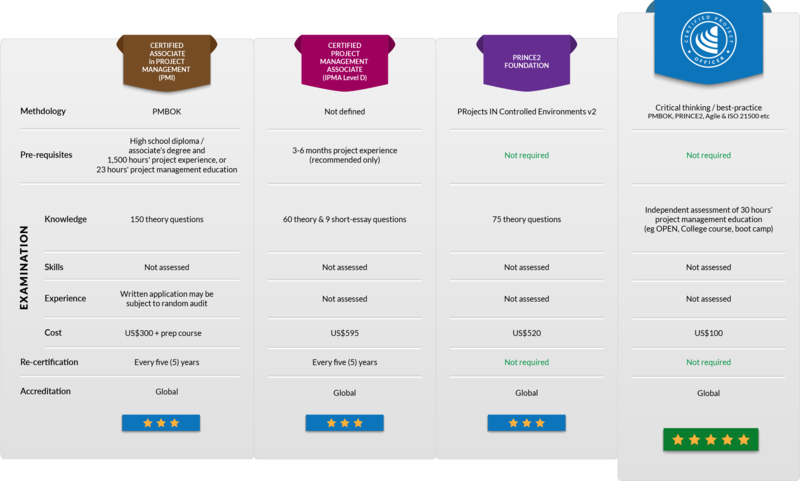 Guaranteed global recognition – your project management passport! Why do employers prefer our Certifications? Employers today are frustrated with “Paper PMs” – project managers who are certified on the basis of completing a theoretical, methodology-specific quiz. Such quizzes invariably demand rote memorisation of obscure formulas and highly complex process maps that bear only a passing resemblance to how projects are delivered in the real world. By taking a 21st century approach to competency-based assessment, the CPO certification is the most durable and cost-effective option for project team members looking to independently assure their value to their employer. How does CPO compare to other Certifications? CPO certification currently costs US$250 when completing the online examination via OPEN. Recognition of prior project management study for CPO certification also costs US$250. The five (5) day ARC workshop costs US$2,950 to attend. All fees are inclusive of lifetime certification – there is nothing more to pay. You can either pay online when you complete the enrolment / application form, or request an invoice (if, for example, you would like your employer to pay on your behalf). Discounts may be also be available when you use a promotional code provided by one of our community partners. How much does a project manager earn? In 2017, the median salary for a project manager in Australia was AU$142,800 per year – in the USA, it was US$112,000. Interestingly, having even a basic certification or qualification in project management added around 20% to the value of of an individual’s salary. The best country to work as a project manager is Switzerland (USA is ranked #2, and Australia is #3), while the worst is Egypt. If you want to know what a project manager usually earns in your country, just ask us! Can I use the letters "CPO" after my name? 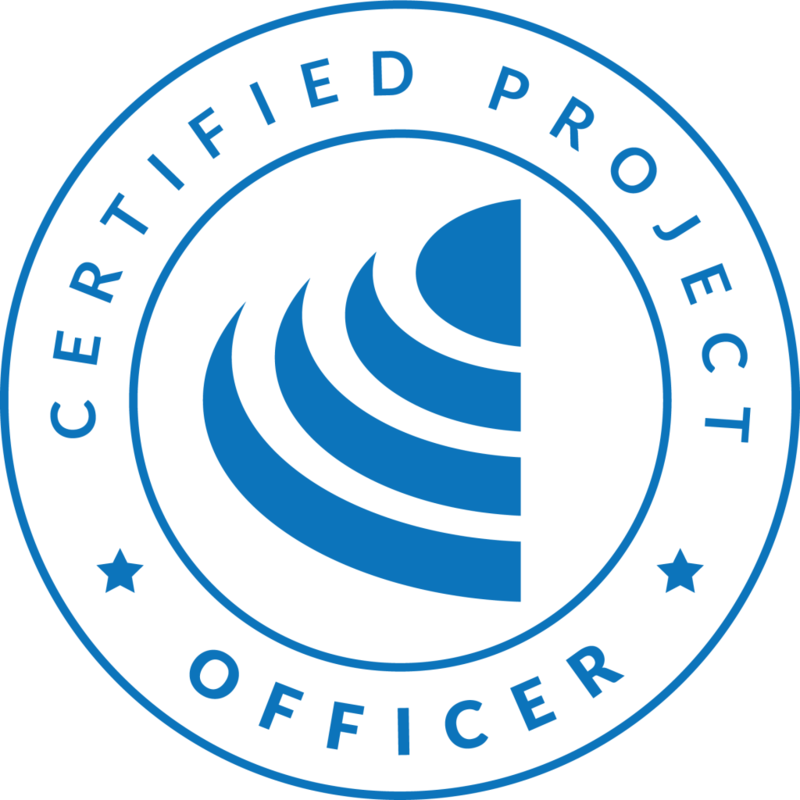 The Certified Project Officer designation is an official certification mark authorised by the United States Patent and Trademark Office, the Australian Competition and Consumer Commission and internationally protected by IP Australia. 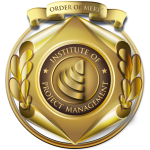 Admission to the Institute of Project Management as a Certified Project Officer allows you to post-nominally use the letters CPO in all formal and official correspondence (eg Jane Smith CPO). How do I know someone is a genuine CPO? You can look-up CPOs via our public directory of Certification holders. To protect the privacy of all Certification holders, your search must include a full given name, full surname or a complete certificate number. Note, too, that some Certification holders may have opted to hide their details from the directory. Many awardees also include their Certification on their LinkedIn profile. In that instance, a unique hyperlink is provided for verification purposes. Do I have to complete CPO before CPP or CPM? The knowledge standards for CPO are the same for CPP and CPM – an examination of 30 hours of project management education. If you have the requisite experience and skills, you should consider skipping CPO and going straight to the higher-level Certification. Not only will you save yourself the CPO assessment fee; you will be retrospectively awarded CPO upon being admitted to the Institute as a CPP or CPM. Lifetime certification means you do not need to pay an annual membership or subscription fee to maintain your Certification – it also means you never need to re-sit or retake an examination at this level. Certified Project Officers are encouraged to continue their professional development through practice and be progressively assessed at higher levels as they develop the requisite skills and experience. Will you endorse my project management skill on LinkedIn? Certified Project Officers who successfully complete the workshop assessment pathway are encouraged to connect with their trainer(s) on LinkedIn. At your request, they will endorse your project management skill on your profile. How can I become a Certified Project Trainer? Our Certified Project Trainers are highly experienced project leaders (CPM or CPD) with a minimum of ten (10) years’ proven project leadership and appropriate teaching and mentoring experience. If this is you – especially if you speak a second language – we would love to hear from you!